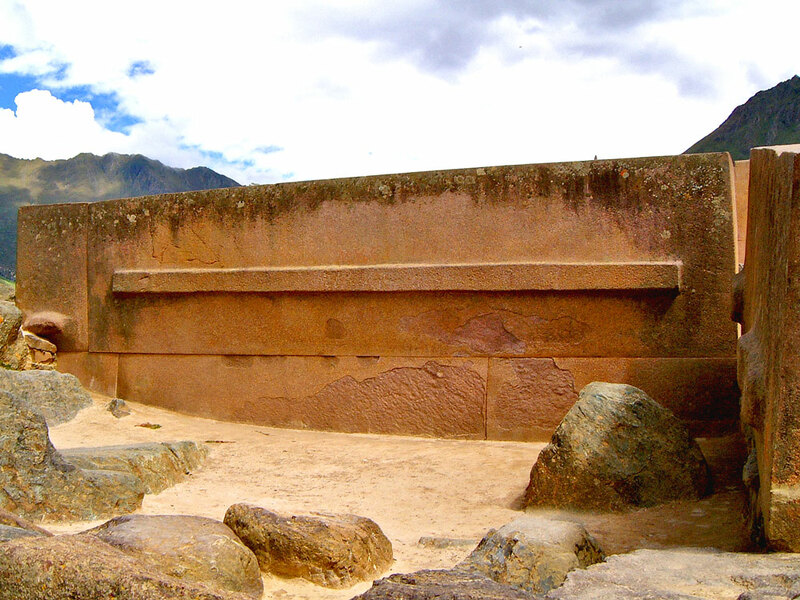 Another seemingly pointless monolith in the Temple of the Sun precinct at Ollantaytambo. This is possibly the largest of the rhyolite blocks that were dragged to the top of the Temple Hill from a neighbouring hill, across a river on the other side of the valley. There is no explanation as to why this was necessary, or why the ridge has been left on the face.